Learn a life-long skill. No need for a one hand keyboard or dedicated software which has to be taken with you. 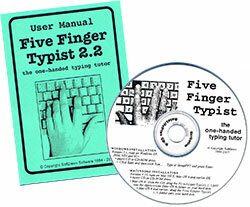 You will receive an easy to follow User Manual when you purchase Five Finger Typist.